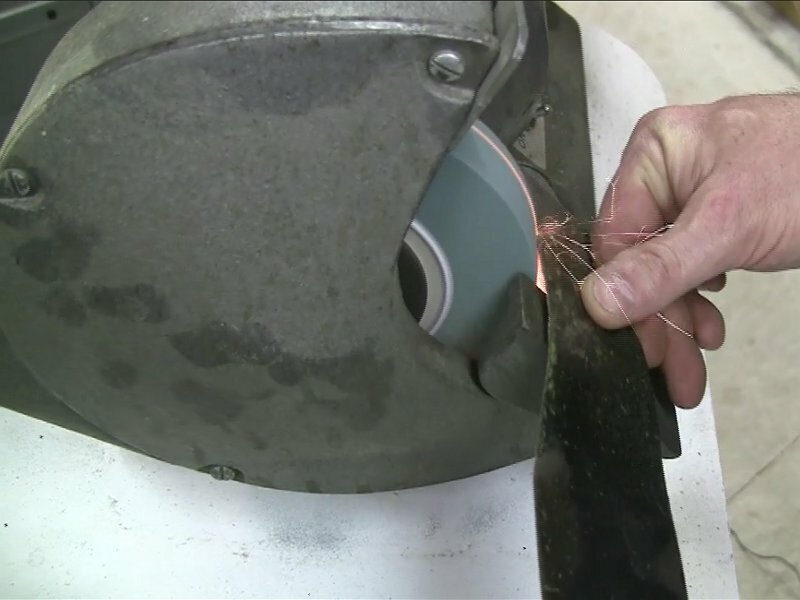 In this video The Handyguys show you how to sharpen and balance a mower blade. Three different sharpening techniques are shown. WeÂ didn’tÂ discuss using things like a dremel attachment or purpose built tools for sharpening. When you sharpen it is also important that you “balance” your blade. If the blade is notÂ balancedÂ it can shorten the life of your mower and even be unsafe. We show you a very simple technique for balancing the blade in the video. Great post as usual guys. I recommend sharpening blades once a month. I find it easier to remember sharpening as a part of a regular maintenance program than to let the grass tell me if it’s time to sharpen my blades. One word of caution to your readers. You mentioned, in passing, that if you don’t balance your mower blades they can damage your mower. You really should think of replacing your mower blades at least every three seasons. Every other season would be better. John, Thanks for the tips. A sharp blade does keep the grass looking nicer. What did you think of my DIY technique of balancing the blade using a nail? Its always worked well for me. People can also buy commercially made balancing tools. I have an old tractor I use at a campground. Some years I replace those blades more than once a season because of hitting rocks, stumps, roots or other debris. I’m going to give the Deere a workout over the Independence Day weekend and see how it does at the Campground. I recommend you use at least a cone blade balancer they are not that expensive and the nail does not work well on the newer splined blades. Yes, the cone balencers are not expensive at all. I’m not sure what a splined blade is but have always had good success with the nail trick. Thanks for the comments. Great post! I know a lot of people don’t now how to sharpen their mower blades and it’s great that you show 3 different ways to do it for those that don’t have all of those tools and machines. Thanks! Thanks Liz. We handyguys love having different tools for the job readily at hand. Personally, I prefer to use the sander to sharpen my blades. Or, the bench grinder. Well, I guess it depends! I sometimes use both!!! I’ll use the sander to clean up any rust and the grinder to put the edge on.